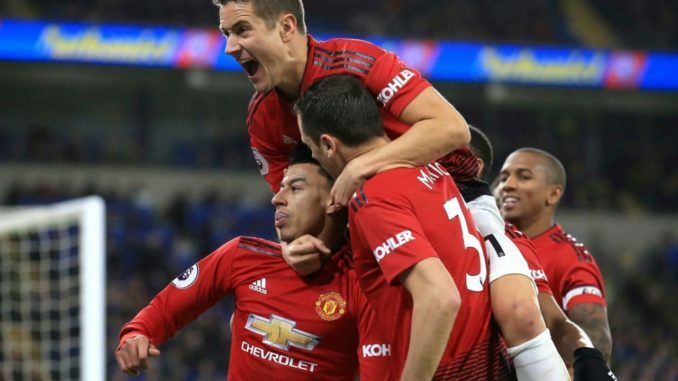 Ole Gunnar Solskjaer got his reign as United’s permanent manager off to a winning start by beating Watford 2-1 at Old Trafford. In all fairness, the Hornets started the game well and were the better side in the first 45 minutes, however, United opened the scoring with a fantastic counter attack. In the 28th minute, England international Luke Shaw won the ball in United’s own half and provided a wonder through pass for Rashford, who took his goal superbly. In the 72nd minute, Martial combined well with his teammates and after seeing his initial shot blocked by Foster, he latched on to the rebound to double United’s lead. In the final minute of normal time, Doucoure combined with Succsess and surged in the box to get a goal back for Watford. He did spoil United’s clean sheet but could not stop them from getting the all important three points. The Red Devils are now 4th in the table for the time being and now we need Rafael Benitez’s Newcastle side to do us a favor when they face Arsenal on Monday night. De Gea – 7: Did not have much to do but when called upon, the Spanish international made key saves. Smalling – 7.5: Solid at the back and made crucial interventions when needed. Jones – 7: Did well in the absence of Swedish center half Victor Lindelof. Shaw – 8: Defended well and set up United’s opening goal of the game. Young – 6: The Veteran fullback did not look sharp and Watford mostly troubled United from the right. Matic – 5: The Serbian had an average game. Never looked comfortable in possession and was too slow. Fred should have been preferred. Pogba – 6: He has so far performed brilliantly under Solskjaer but against Watford, the World Cup winning star just could not get going. Herrera – 6: Still getting back to full fitness and was replaced in the 63rd minute. Mata – 6: The former Chelsea man has still got the skills but he is too slow to be deployed as a winger. The Spaniard did well when he played centrally. Martial – 8: Worked hard and deservedly got his goal. He was subbed off minutes after finding the net. Rashford – 9: Fantastic run and finish to open the scoring. Once again showed why he is our main man and deserves to start ahead of Lukaku. Lingard – 7: Provided the assist for the second goal. Pereira – 6.5: Involved in the second goal. He was way more energetic than Herrera. Rojo – N/A: Brought on for Martial to shore things up at the back.